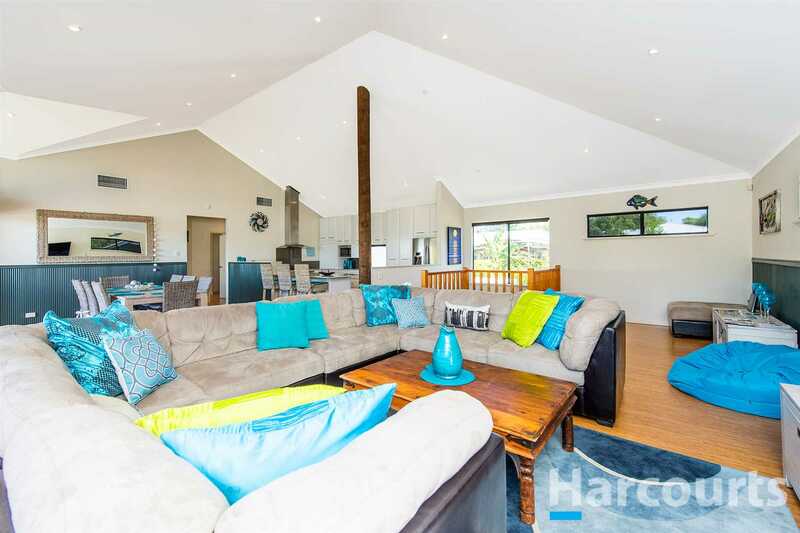 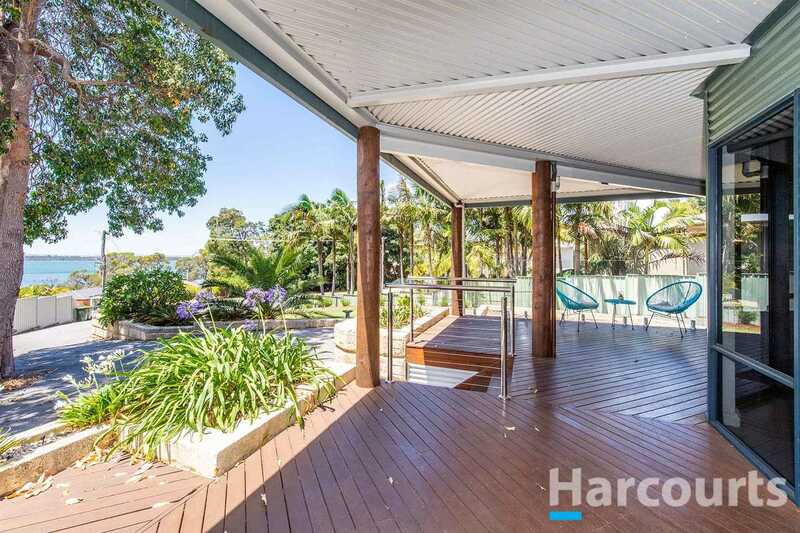 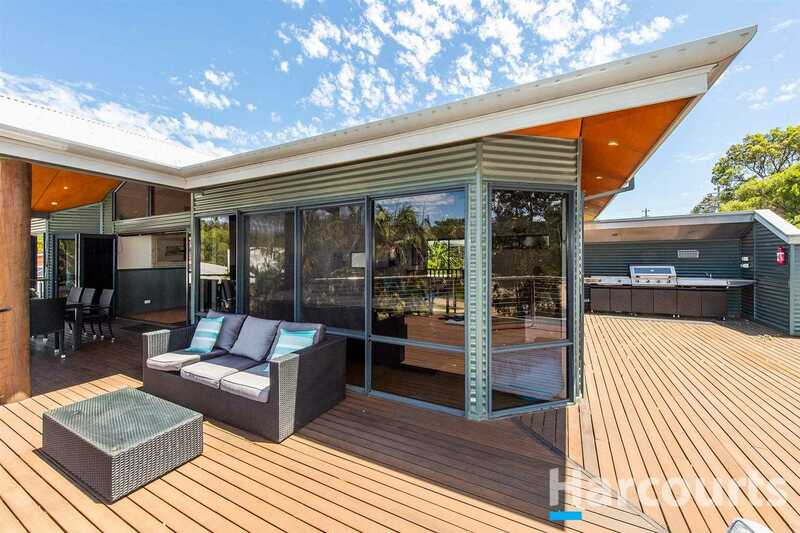 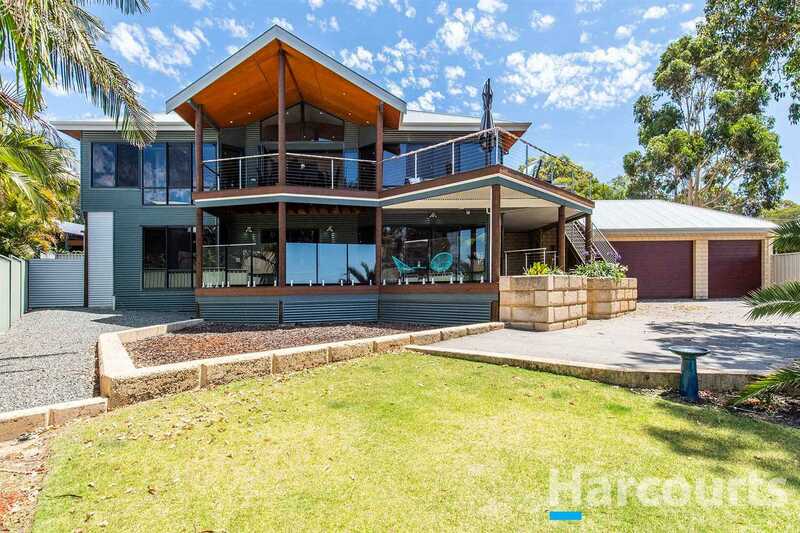 Nicole Hindmarsh is very proud to present this beautifully designed, two storey home in stunning Bouvard. 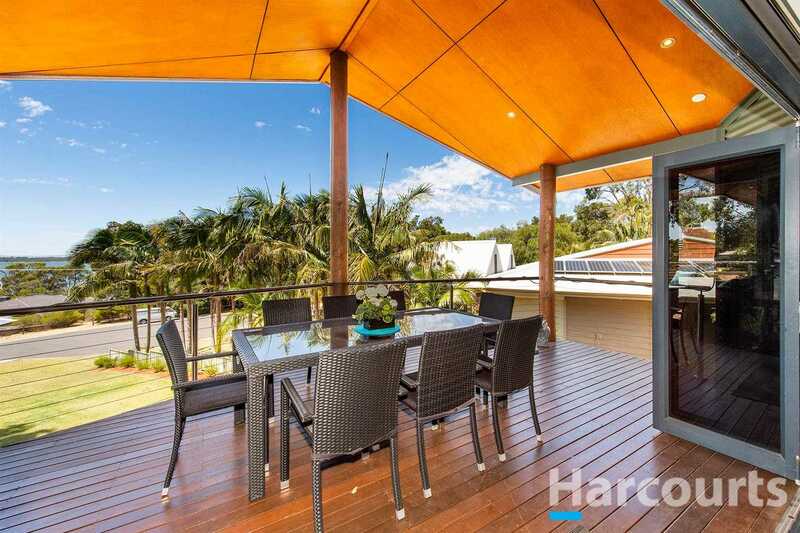 Both upstairs and downstairs features timber decked alfresco areas all boasting views of the Peel Harvey Estuary, you will be spoilt for choice where to entertain your family and friends. 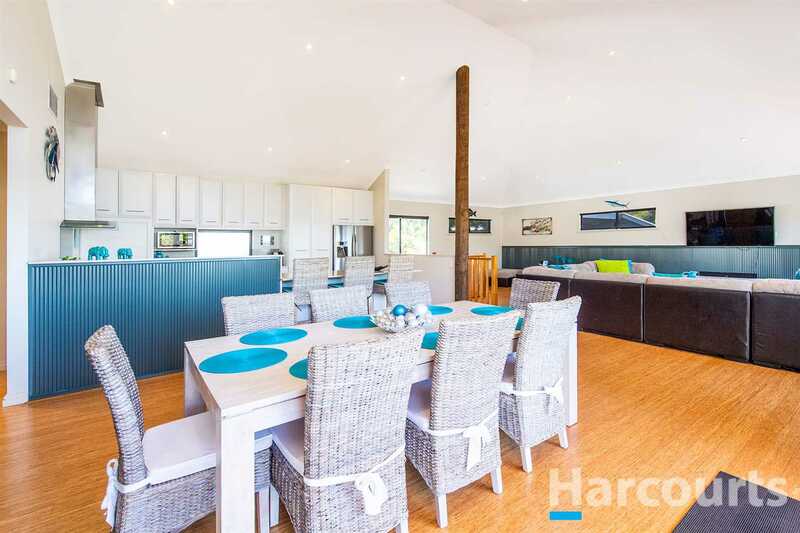 An absolute credit to the vendors for the impeccable design of this impressive residence with everything taken care of to be enjoyed by the whole family. 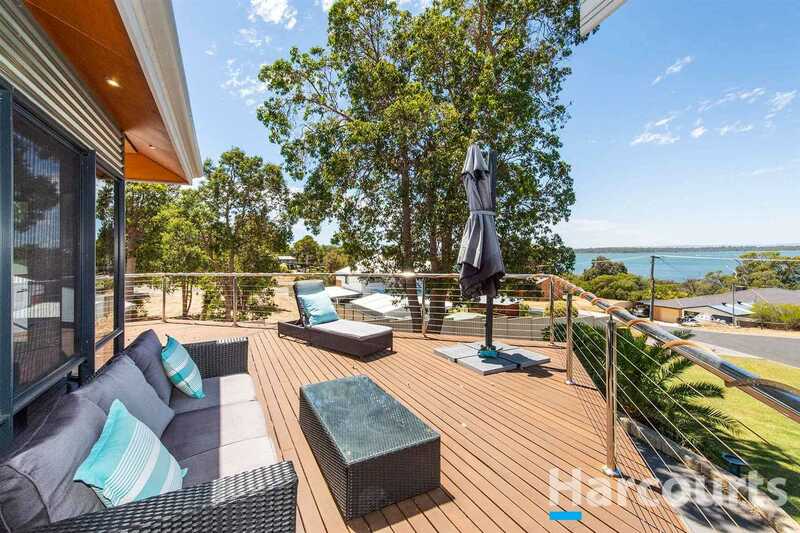 If you are searching for the perfect forever home, or holiday home, then look no further! 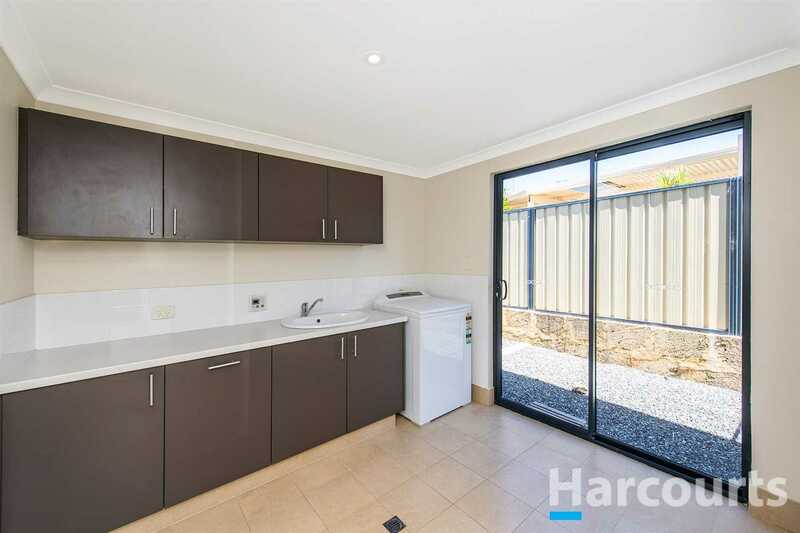 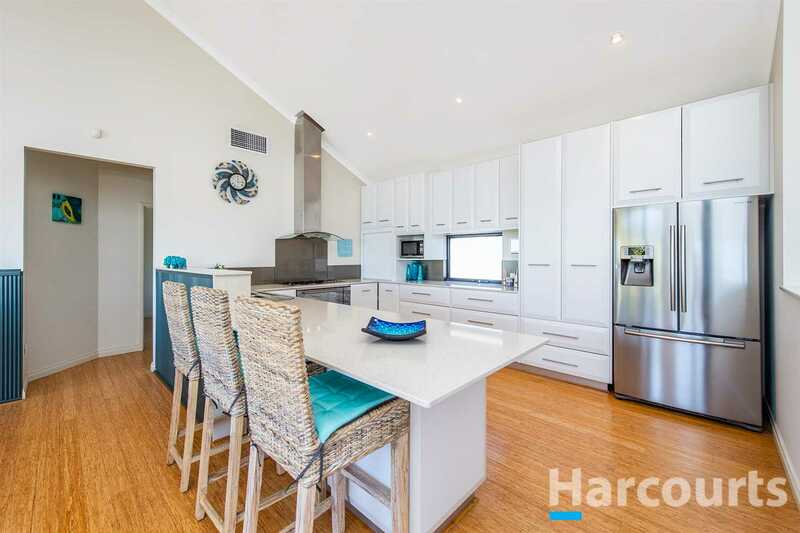 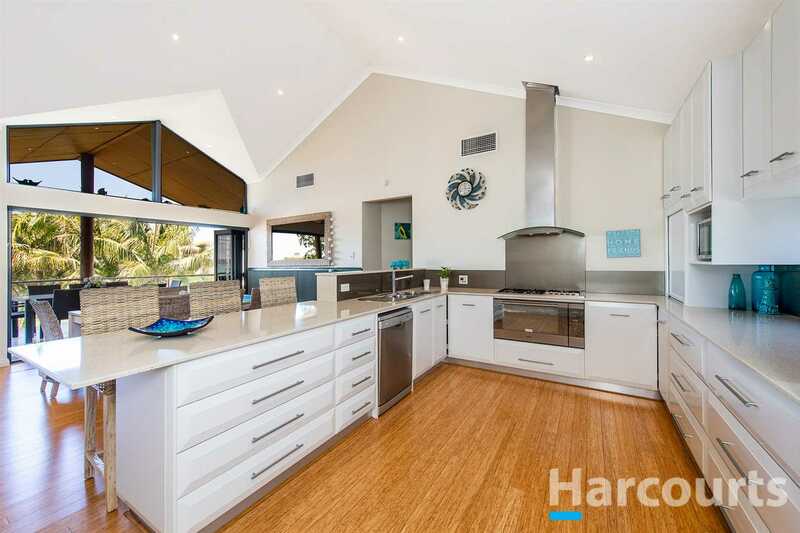 You will love cooking up a storm in the massive upstairs kitchen with Caesar stone benchtops, 6 burner gas stove, 900mm oven, ample cupboard space and drawers, dishwasher, plumbed double fridge recess and breakfast bar. 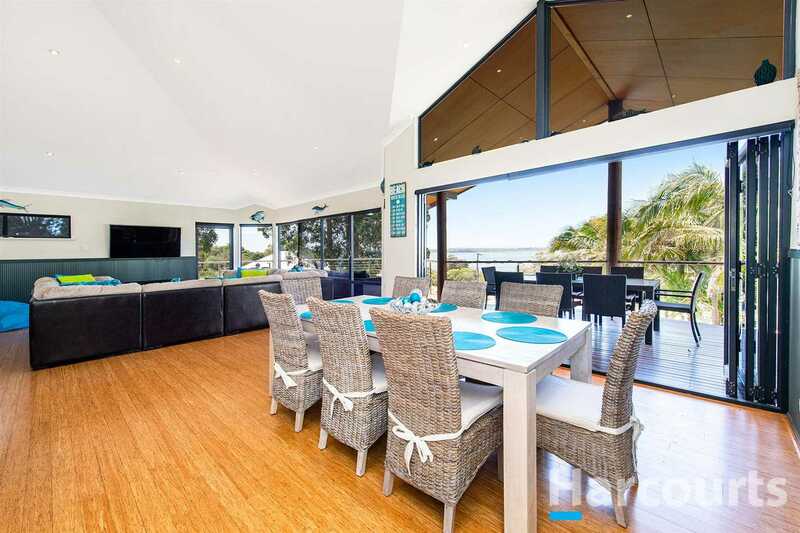 The living and dining area features high pitched ceilings and bamboo flooring with Bi-fold doors leading out to a pitched alfresco with bush poles and lined with marine ply and of course the amazing vista before you. 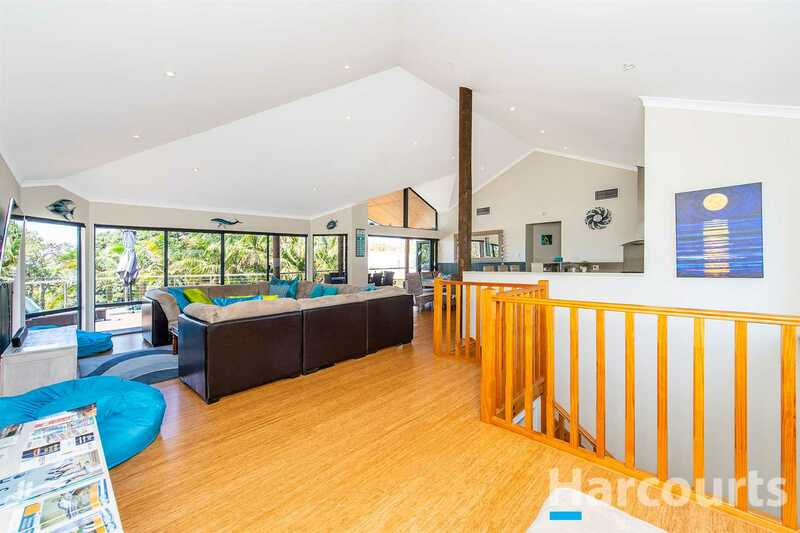 To the left is an open decked area and an outdoor kitchen around the corner. 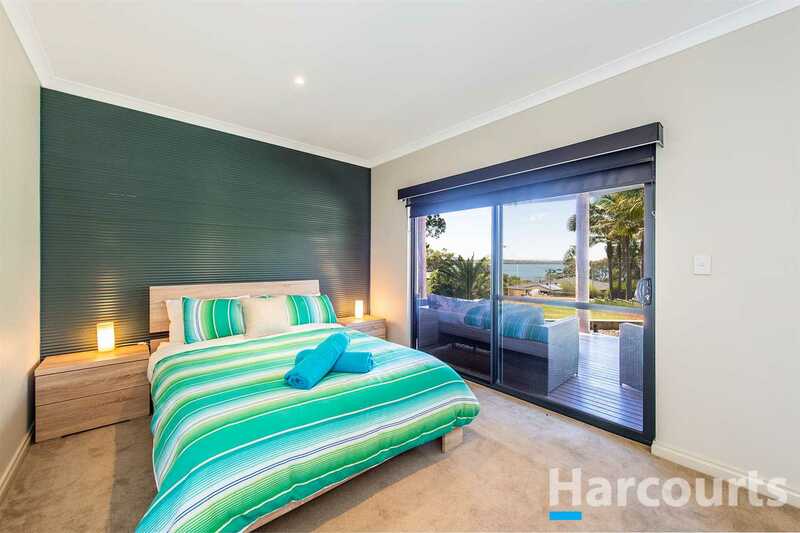 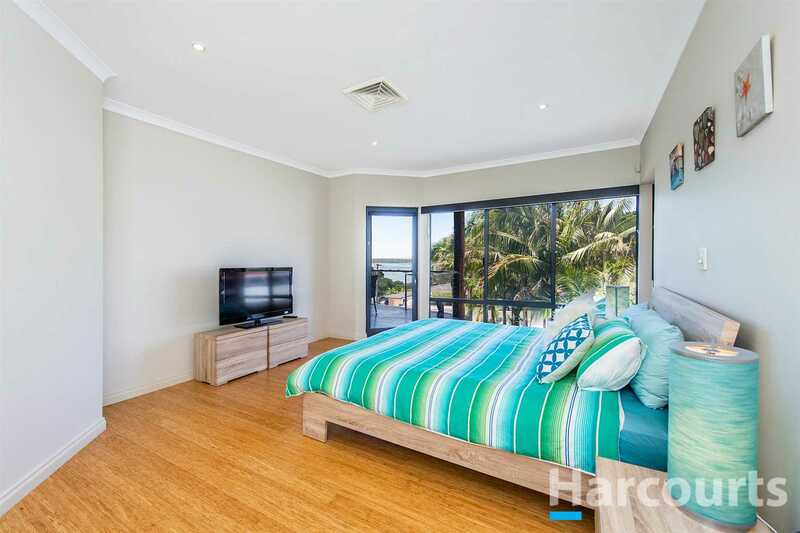 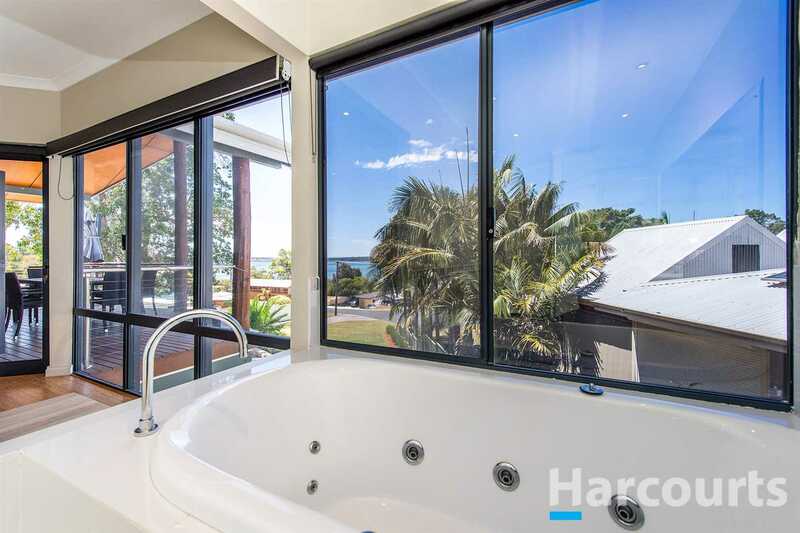 Wake up to water views every morning form your huge master bedroom with his and her walk in robes complimented with a luxurious ensuite and spa bath also with views of the water. 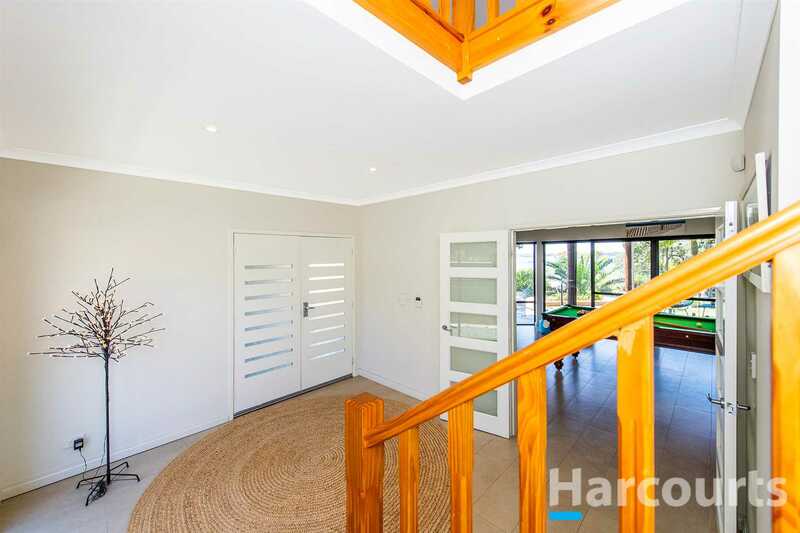 Downstairs features a large separate games/lounge room with which leads out to the lower decked area, perfect for the kids. 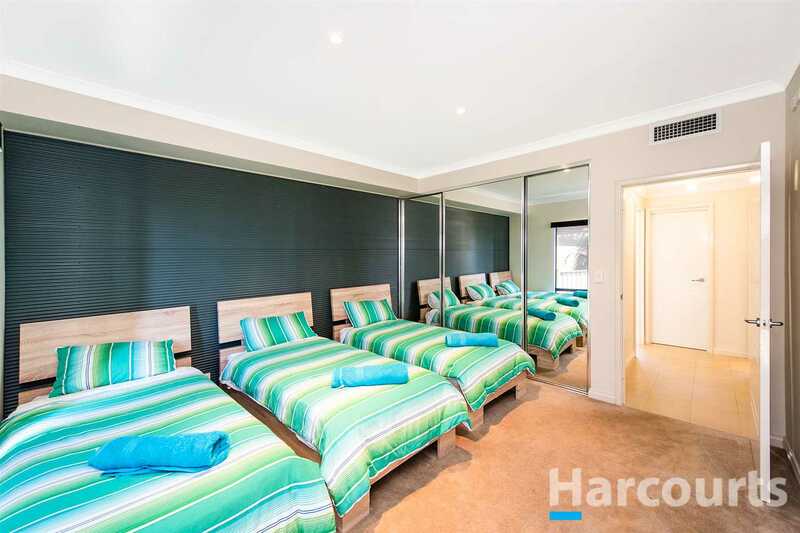 All minor bedrooms complete with mirror robes are all large enough for queen size beds or even three singles! 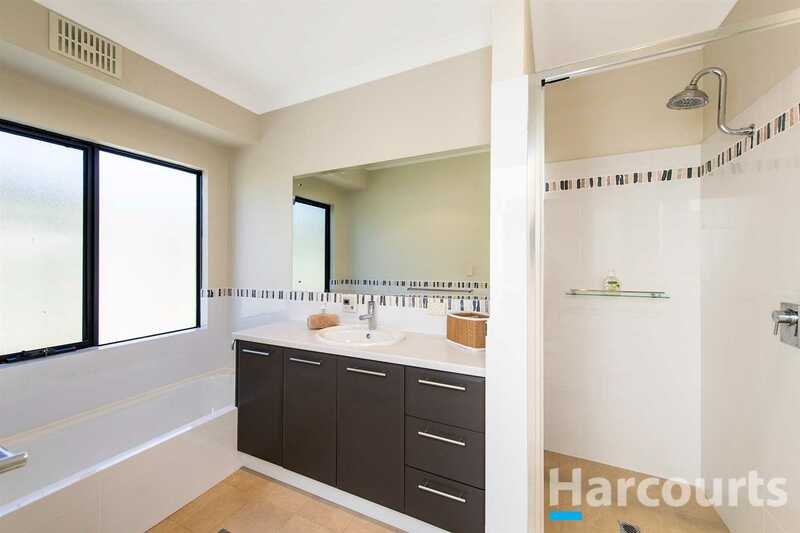 Plus, you'll find a stylish main bathroom and a well-equipped laundry. 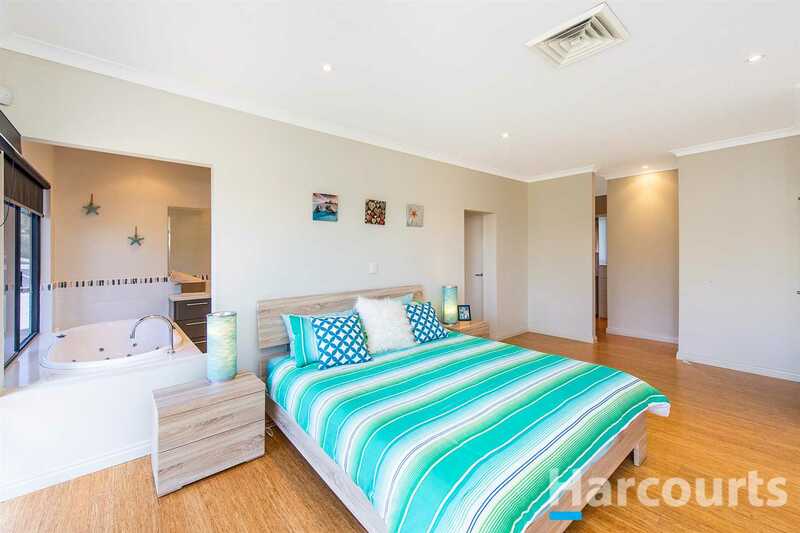 If that's not enough, I haven't even mentioned the location. 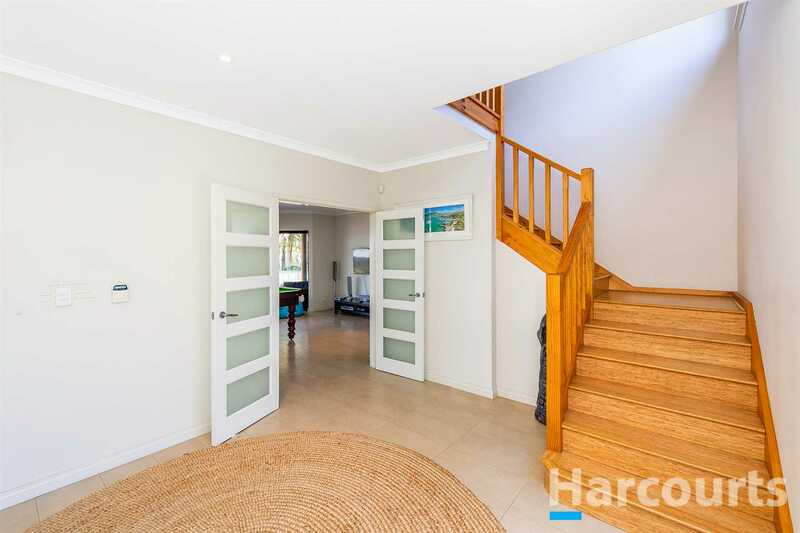 Bouvard is a peaceful, tranquil place to live only 10 kms south of the Dawesville cut and 6kms south of two Dawesville Primary Schools. 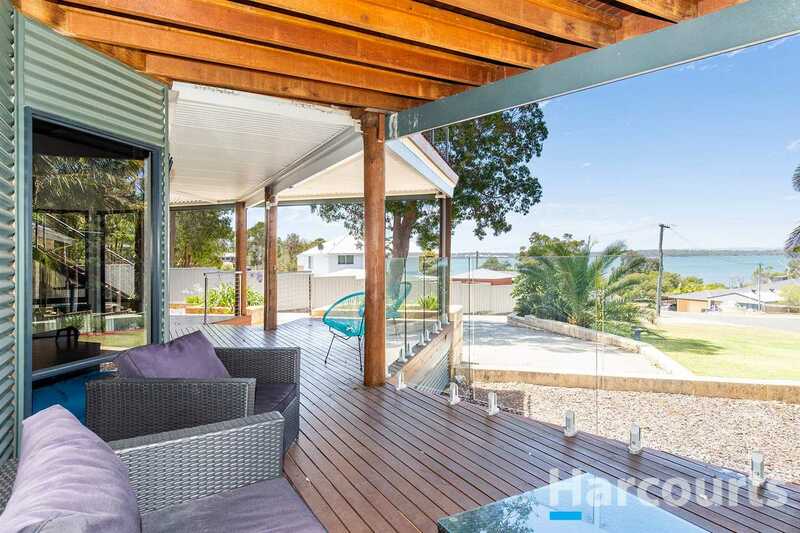 Close to the boat ramp for your daily feed of crabs or fish or take the kids for a ride along the estuary. 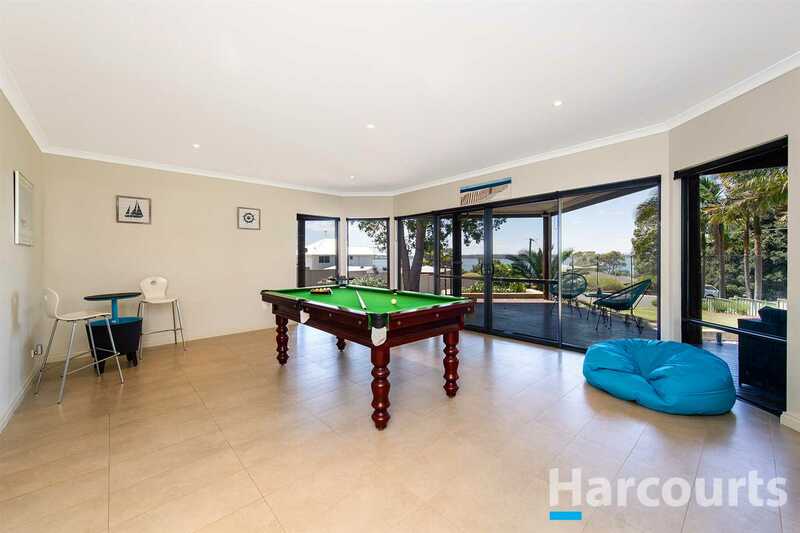 Pop into the Bouvard Tavern for some of the best food in Mandurah or a refreshing drink with the locals. 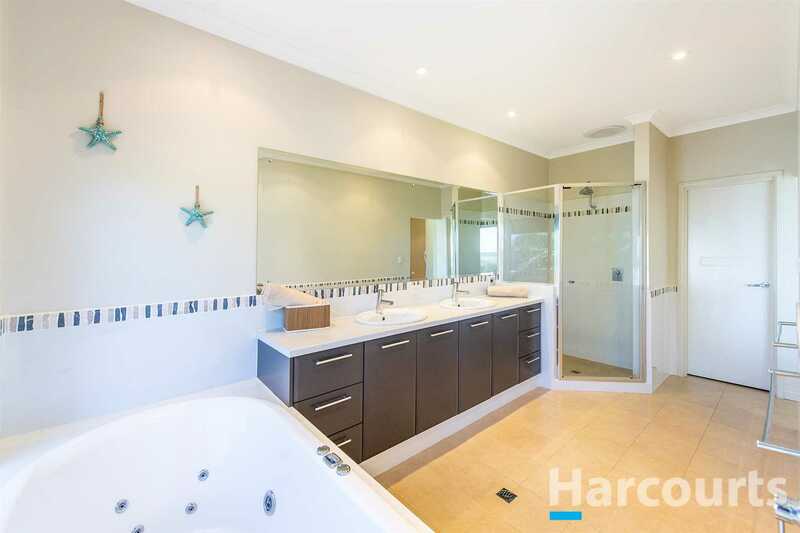 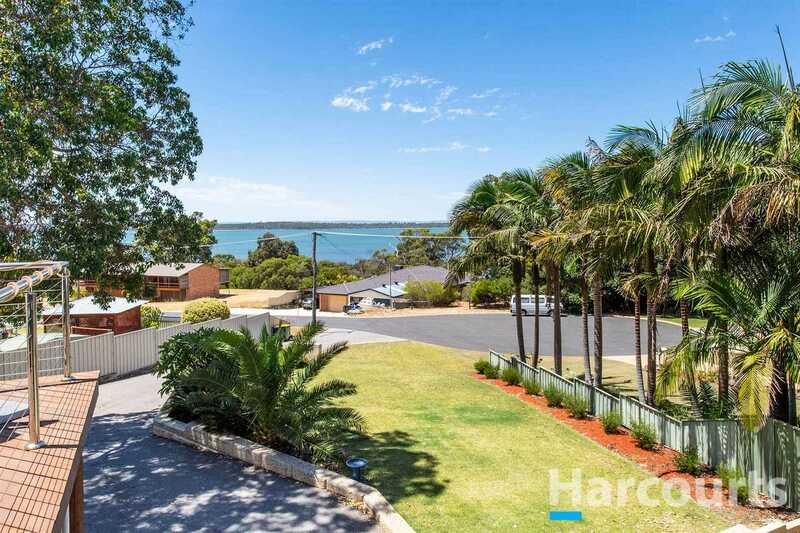 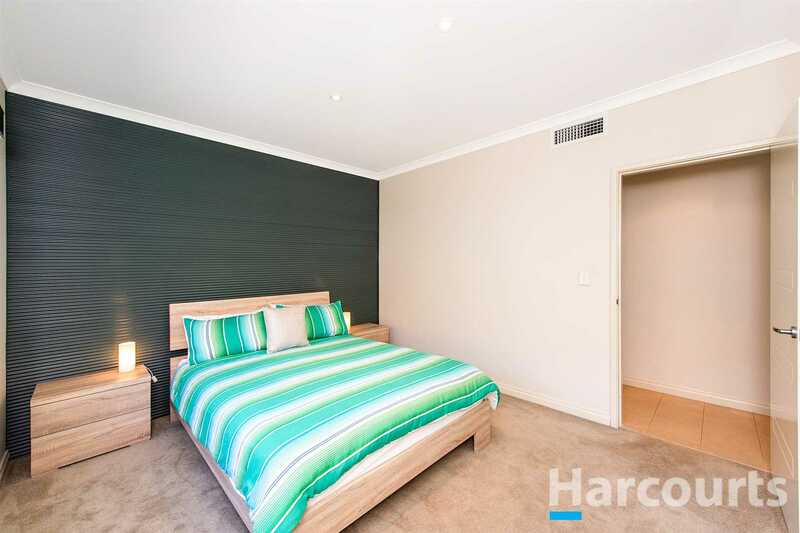 Your new lifestyle awaits, call Nicole Hindmarsh today on 0415 815 156.